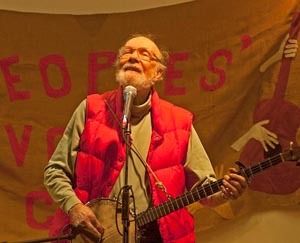 An alternative coffeehouse offering live entertainment in New York City, from folk music and protest songs to rap, jazz, poetry, storytelling, and dance. Now celebrating our fortieth year! 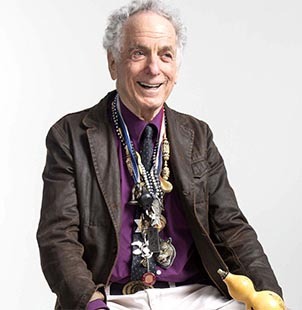 Composer, conductor, author, and multi-instrumentalist (piano, french horn, flute, guitar) David Amram is one of America's most honored and beloved musicians. He began his career as a French hornist for the National Symphony Orchestra in Washington in the 1950s, and later introduced the French horn to jazz, collaborating with Dizzy Gillespie, Thelonious Monk, Charles Mingus, and others. He created film scores for Splendor in the Grass (1961), Manchurian Candidate (1962), and the beat film Pull My Daisy (1959). He also wrote scores for Shakespeare in the Park in NYC and Arthur Miller. Working with Jack Kerouac, Langston Hughes, and others, Amram experimented with combining jazz and poetry. He has also collaborated with Bob Dylan, Willie Nelson, Paquito D’Rivera, Tito Puente, and scores of others. We are honored to have the legendary David Amram perform this very special benefit concert for the Peoples' Voice Cafe. ... and maybe even a surprise guest or two! This concert will be a benefit for the Peoples' Voice Cafe. 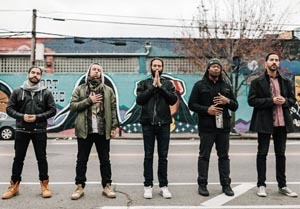 The Peace Poets are a family born of Hip Hop, heart, and hope in New York City. Some have been friends since childhood, and over time they have built an artist collective of poets, Hip Hop performers, and educators founded on this friendship and their common love for community and creative expression. Grounded in the power of personal narratives and community, The Peace Poets create art that can take you on a journey from the Boogie Down to Berlin, from the border to the bodega. 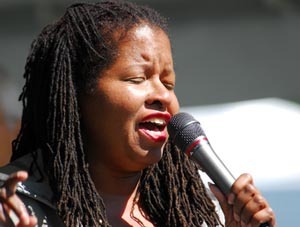 "Vocalist Pam Parker blends Billie's precision with Aretha's brand of soul. Parker's been using her perfect, classic voice to lure in crowds for years — it's the combination of sweet tone, spot-on vibrato and something hauntingly reminiscent of the jazz singers of old that makes seeing her live so addictive." – Express Night Out. Her repertoire includes blues, swing, R & B, sixties pop and folk, and the occasional Broadway tune. Folk legend Carolyn Hester, a pioneering figure in the Greenwich Village Folk Scene, came to New York in 1955 and recorded her first album for Coral Records in 1957. Known as a fiercely independent artist, she continues the work of a lifetime using her unique empathy to translate meaningful messages for her audience in the ongoing effort to create a better world. 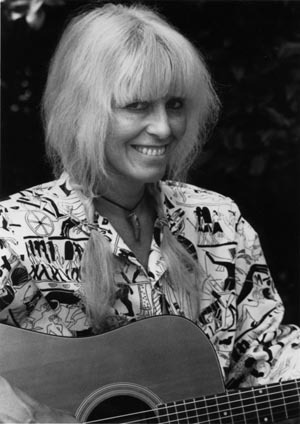 Her honeyed voice has raised up other artists to this calling, from Bob Dylan to Nancy Griffith. Tonight she will be joined by her daughters, Karla and Amy Blume, who continue the tradition of American Folk Singer-Songwriters.